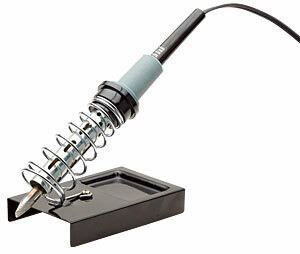 For safe soldering, keep your hot soldering iron in a stand when not in use. 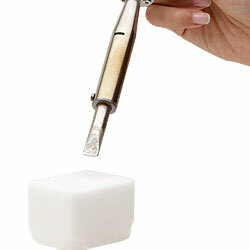 Clean and re-tin the tip of your soldering iron after each use. Carefully swipe both sides of the hot tip across the surface of the sal ammoniac block. 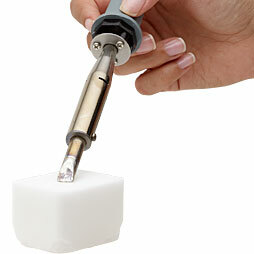 A soldering iron tip is very hot and may produce a small amount of smoke/fumes--work in a well-ventilated area.